Guaranteed Finishing Unlimited, Inc. is driven by customer needs and will take a progressive and cost-competitive approach to offering customers superior quality and service with a focus on customer satisfaction and continuous improvement. The company's quality control department provides quality programs designed to meet customer specific requirements. Zinc electroplating can be certified to most recognized specifications. On-site laboratory facilities provide daily control of plating processes, environmental compliance testing and corrosion testing. The company is also registered to the ISO 9001:2008 quality management standard. GFUI holds all necessary installation and operating permits associated with air, water, and land environmental regulations imposed by OSHA, EPA, NEORSD, BWC and all other federal, state and local agencies. 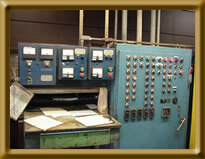 We are members of the Ohio Association of Metal Finishers and the National Association of Metal Finishers.